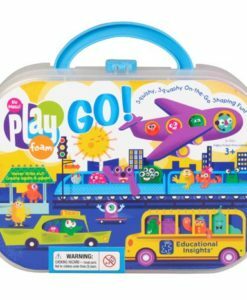 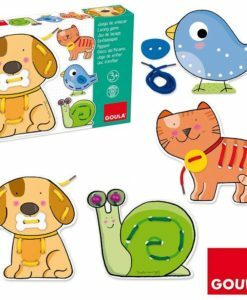 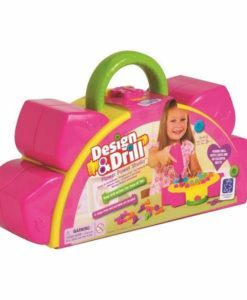 Learning Resources Design & Drill Flower Power Studio Take Along Activity Set. 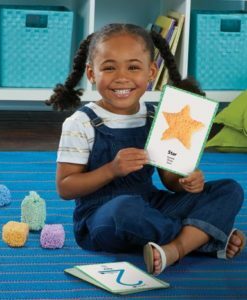 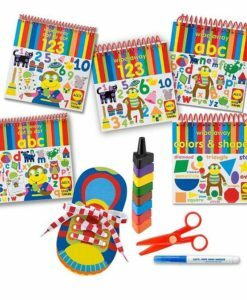 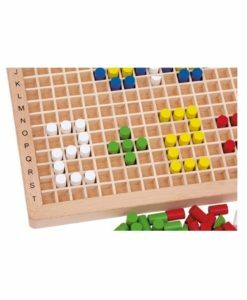 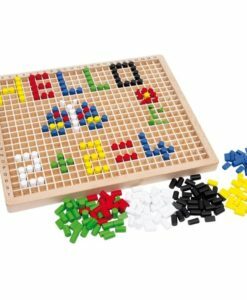 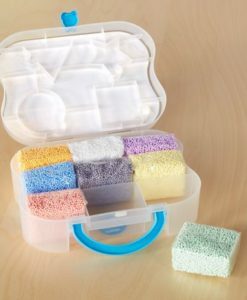 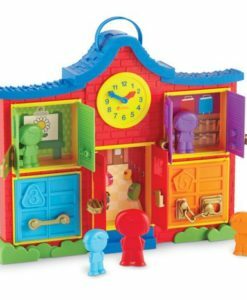 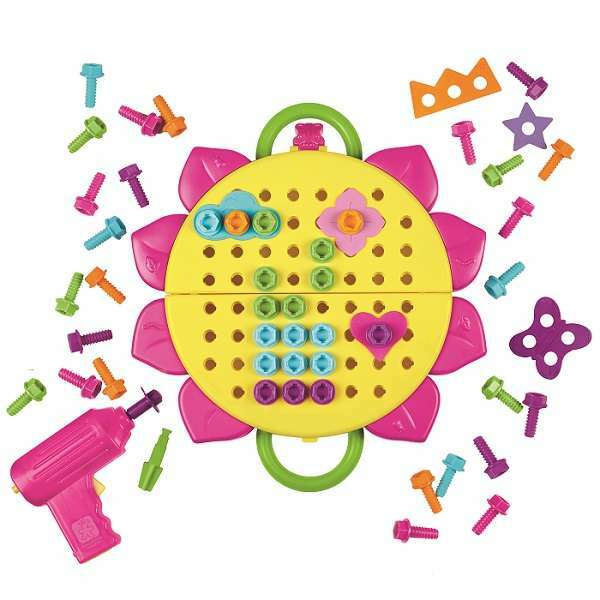 Let creativity and construction blossom with this colourful activity set. 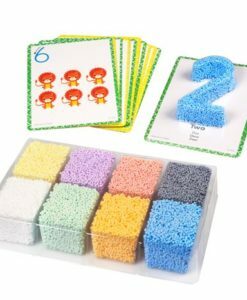 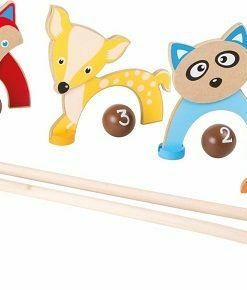 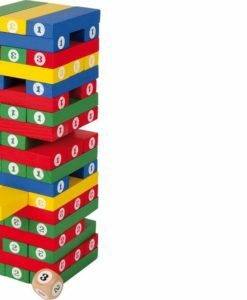 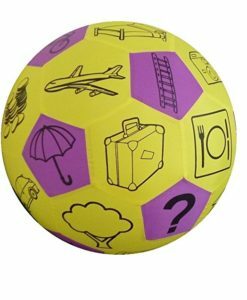 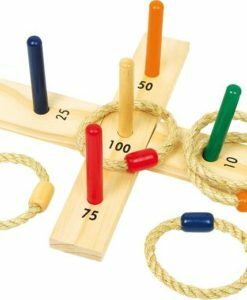 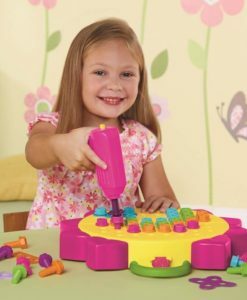 Encourage hand eye coordination, patterning and problem solving skills as early learners drill colourful creations into the sturdy plastic activity board. 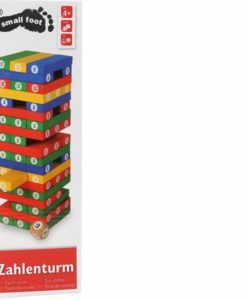 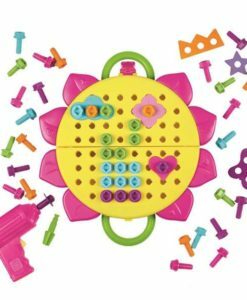 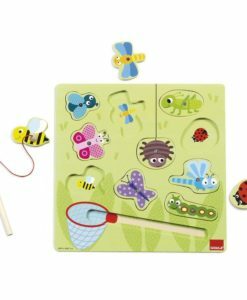 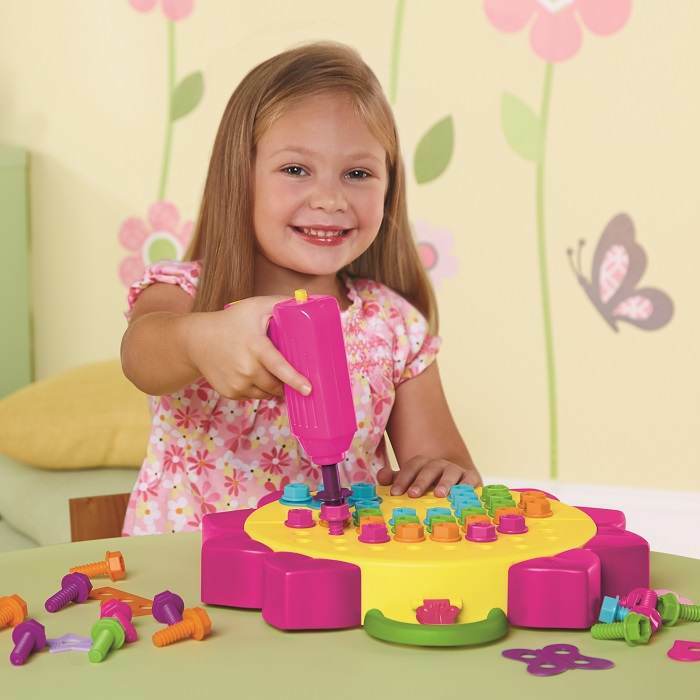 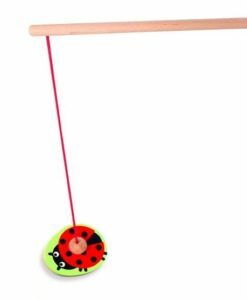 Activity set includes play power drill, two plastic drill bits, 60 bolts in five different colours (pink, orange, green, blue and purple), six designer plates and Activity Guide all stores neatly in the flower shaped take along activity board. 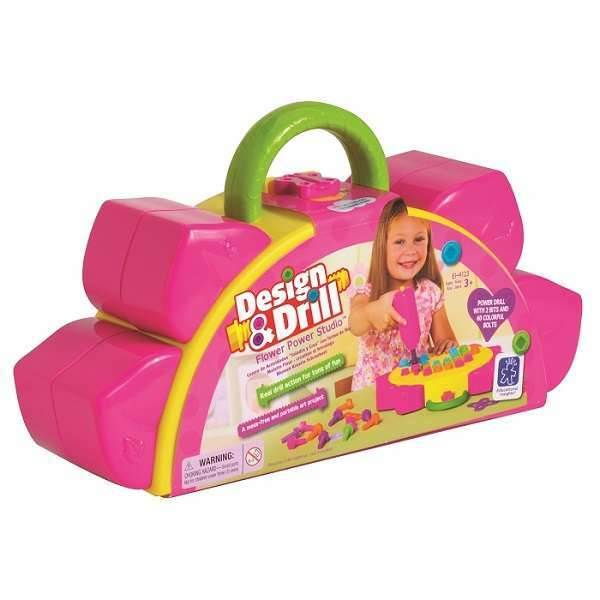 Pretend drill requires 3 AA batteries (not included). 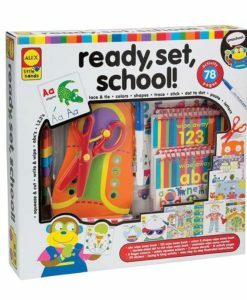 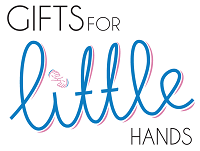 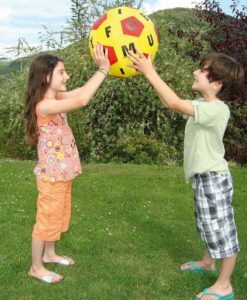 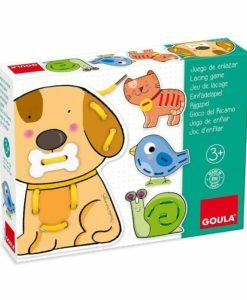 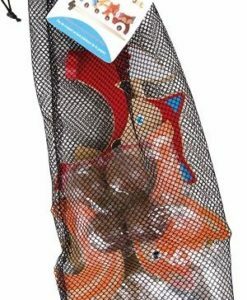 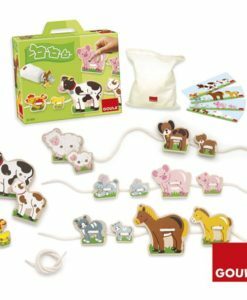 Suitable for ages 3-7years.